Kaitou Kid dares to challenge the police once more, setting his sights on the Russian Imperial Easter Egg. With the date, time, and place, the Osaka police force scrambles to stop him. 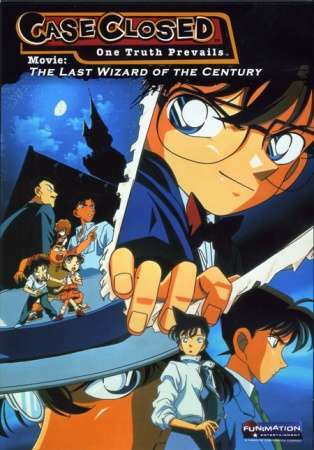 But this time, Kid may have bitten off more than he can chew—Conan Edogawa, Heiji Hattori, and numerous others are also trying to get their hands on the jeweled egg. As the race for possession of the egg escalates, a string of murders threatens those after it, and at the same time the tragic truth behind the Romanov Dynasty is finally revealed. At the center of these developments, it is up to Conan to solve the gruesome murders and catch Kid, all while protecting those close to him and concealing his identity.